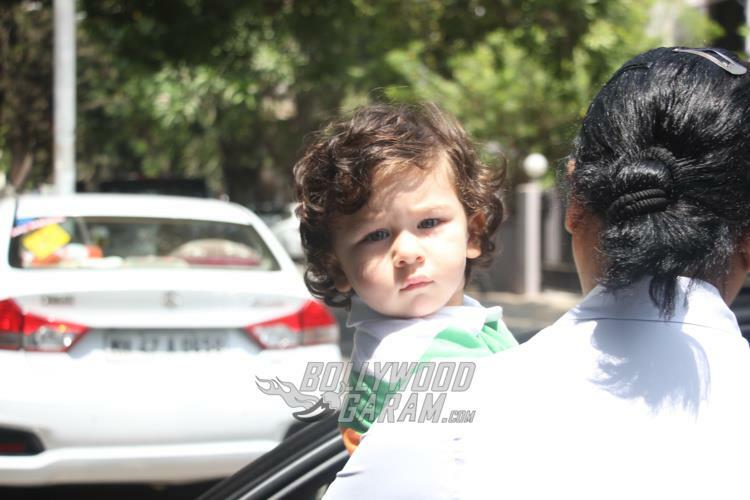 Kareena Kapoor and Saif Ali Khan’s son Taimur Ali Khan has been in news since the time of his birth on December 20, 2018. 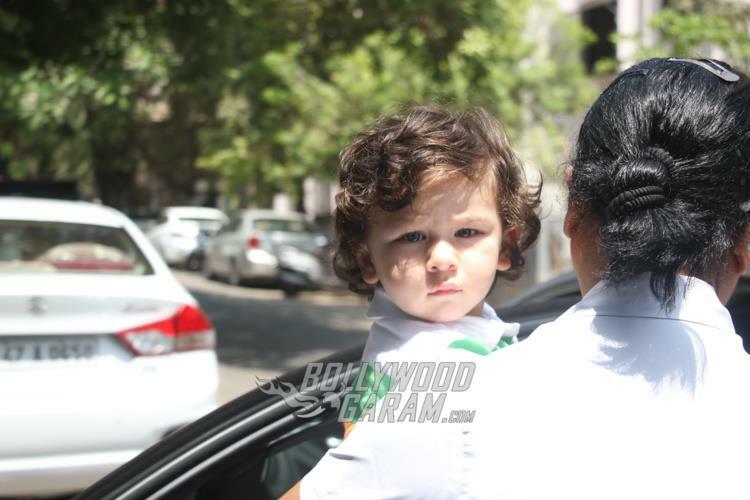 Whether it is his playschool time or a casual outing or just play time with friends Taimur manages to grab attention of the paparazzi, wherever he goes. 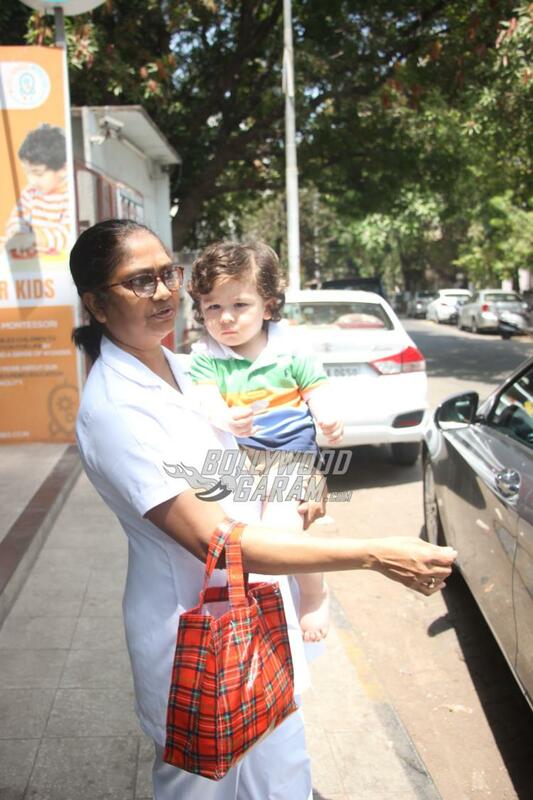 Once again the little one was snapped with his nanny as he finished his play school time in Mumbai on May 3, 2018. Unlike always, the star kid was snapped looking straight in to the cameras as he came out of the play school. 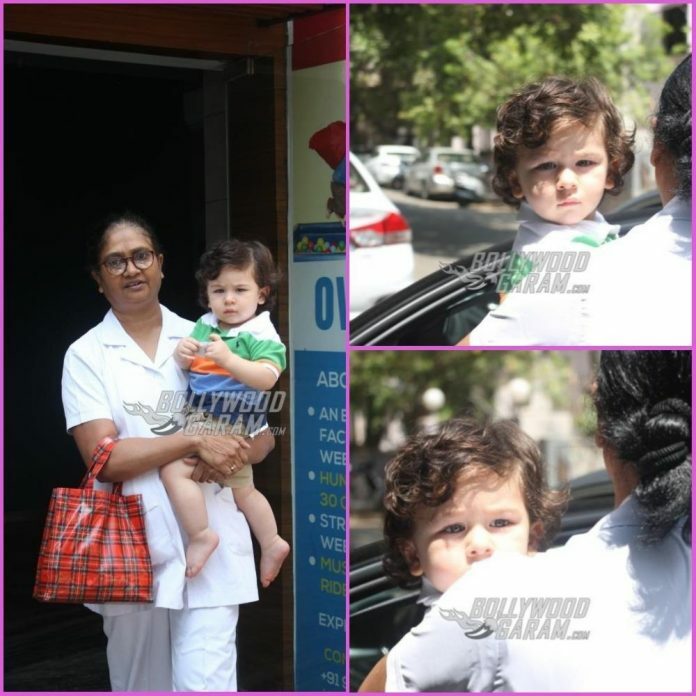 The little one looked adorable in a striped polo t-shirt and brown pants as he was being carried by his nanny. 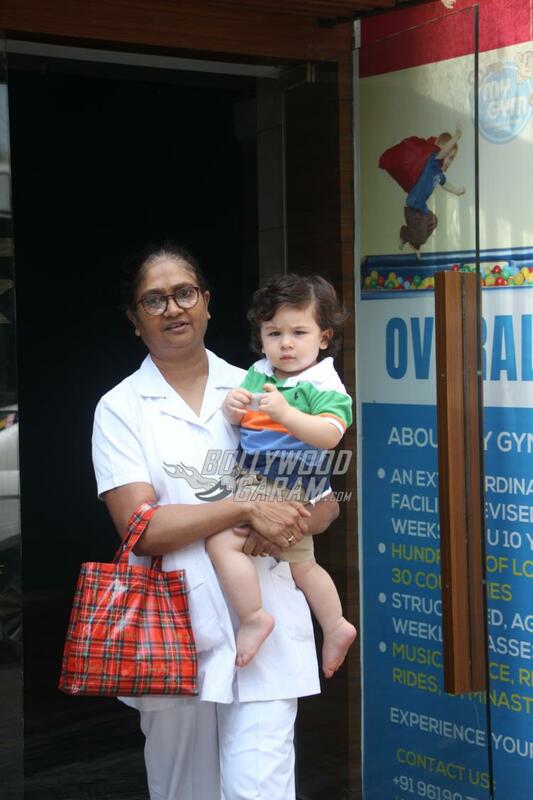 Taimur looked paparazzi friendly and did not shy away posing. 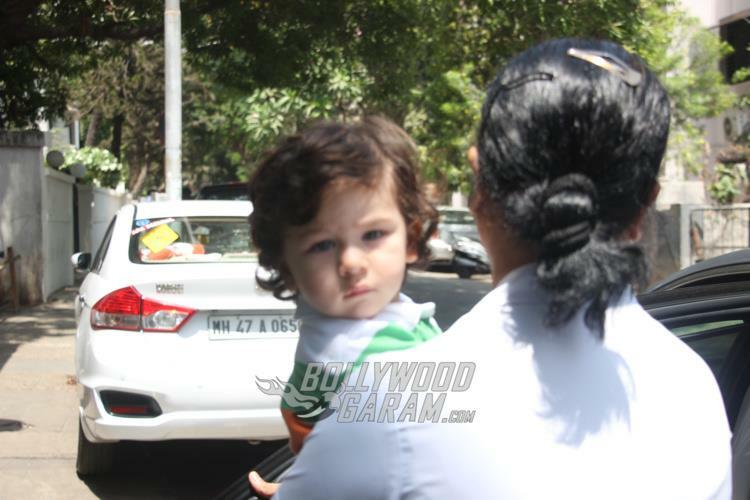 Parents Kareena and Saif are busy with their respective schedules. 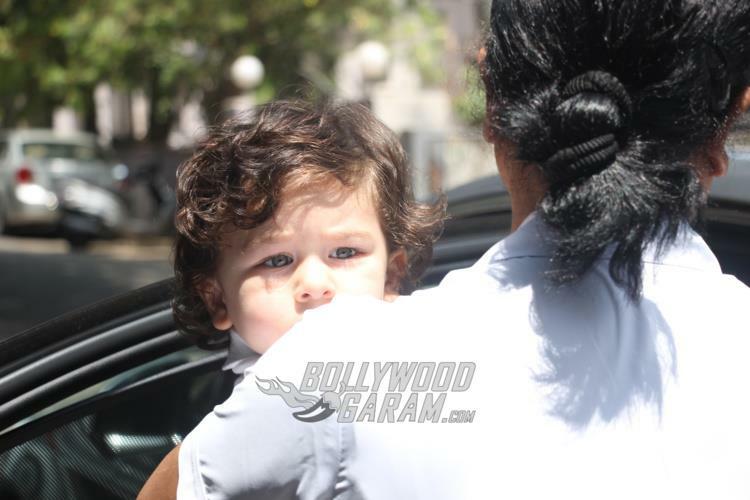 Kareena is looking forward for the release of her upcoming film Veere Di Wedding which also stars Sonam Kapoor, Shikha Talsania and Swara Bhaskar. 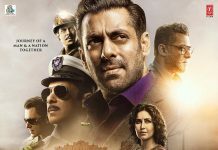 The film is directed by Shashanka Ghosh and is jointly produced by Sonam Kapoor and Ekta Kapoor and is ready to be released in theatres on June 1, 2018.